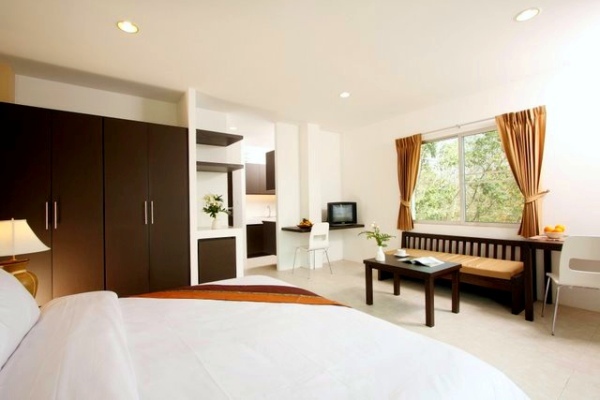 The independently-owned studio apartments in Chalong are in a quiet area just north of Chalong, in a new building with modern facilities and a peaceful atmosphere. 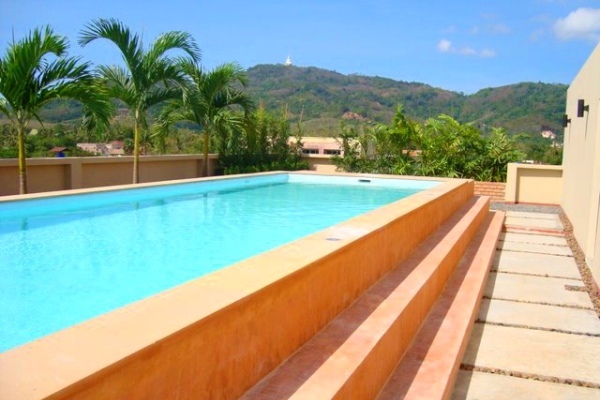 In a relatively sleepy Thai neighborhood, you’re moments away from local shops and restaurants, immersed in Thai daily life, yet with the best of Phuket’s beaches, dining, shopping and nightlife a few minutes drive away. 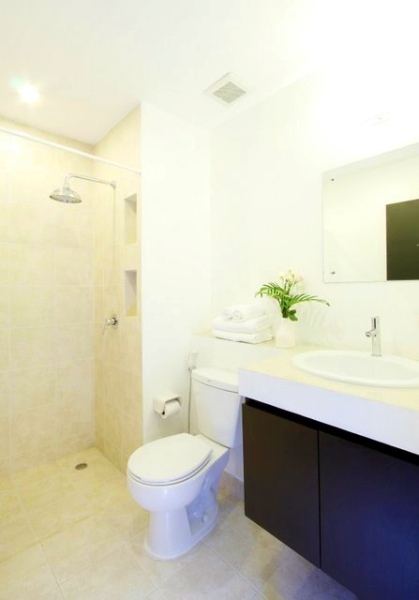 The studio apartments in Chalong are in two buildings, with either a spa pool or a full-size pool on the top floor. 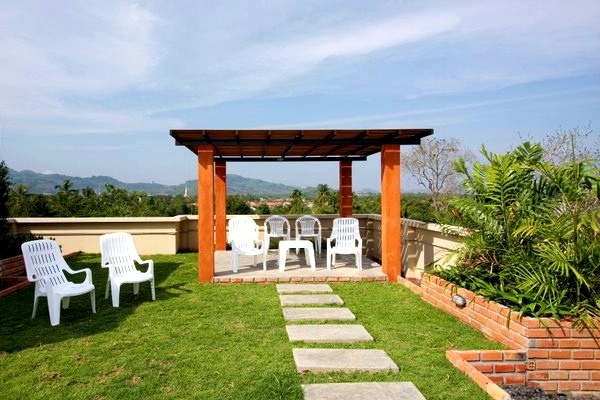 There’s also a barbecue area which is a perfect party venue available to you while you’re there. 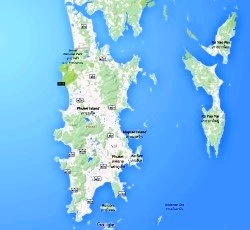 The rooftop offers a panoramic view of southern Phuket, with the Big Buddha nearby at the top of the hill. 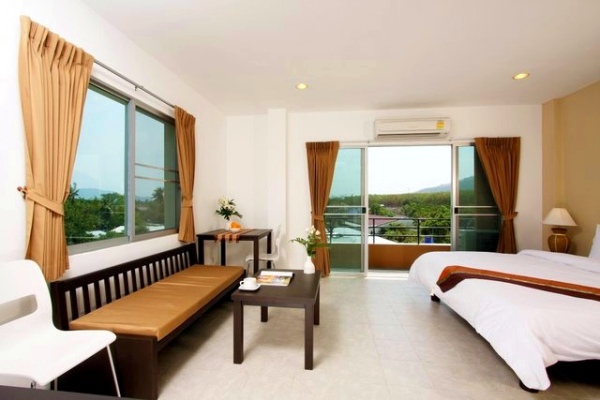 The Chalong studio apartments are all fully furnished, with air conditioning, a modern ensuite bathroom and a balcony. WiFi Internet is available in all Chalong apartments at no extra charge. 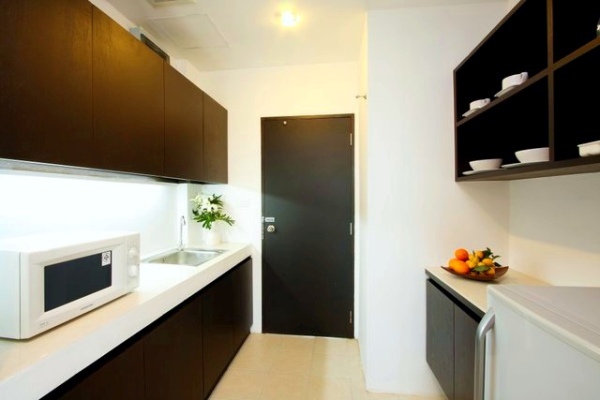 The apartments in Chalong are ready to live in, with microwave oven, kettle and crockery. 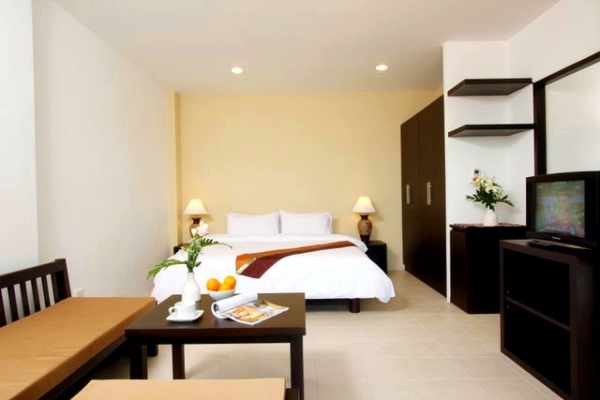 Our Chalong studio apartments are just up the road from the amenities Chalong offers, with Chalong Pier, HomePro Village, Villa Market, Tesco Lotus and plenty of restaurants and entertainment spots nearby. 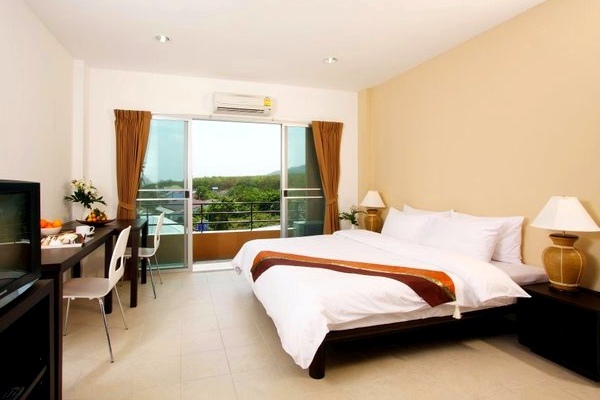 The studio apartments in Chalong are serviced, with laundry, bed linen and towel services available at modest charges. Entry is via an electronic system, and security cameras monitor of all common areas, inside and out. There is ample parking for cars and motor cycles. All studio apartments in Chalong are no smoking. Scroll down for some pictures of the Chalong studio apartments, or click the button either below or at the top of the page for more information about Chalong.